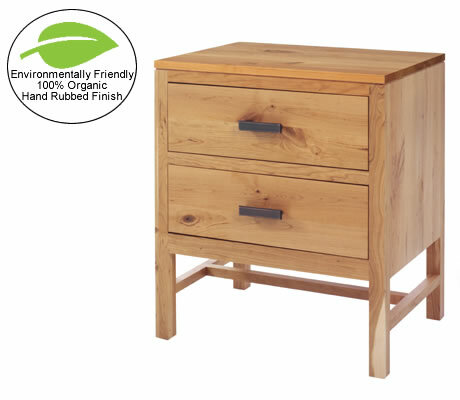 This beautiful, simple small solid wood nightstand is American made and handcrafted using time tested techniques. It has a hand-rubbed, organic finish. It is made of rustic cherry, but you are able to choose other wood species including premium grade cherry and oak.